The Kent Film Office is based in Maidstone and can offer work experience for up to 2 weeks to those who live or study in Kent and are over 18. In addition to young people wishing to take first steps into the sector, Kent Film Office welcomes anyone who may be returning to work from a career break or is considering career break. Placements are usually full-time for one week. However, if you have other commitments, Kent Film Office is able to offer more flexible options. The Kent Film Office is a small team of two and at times, both officers can be out of the office. In addition, we are situated on the second floor in a very busy open-plan office, and work-experience candidates will be using hot-desks, asked to work from home or sent out to take photographs. Therefore you must be comfortable to work flexibly and independently. The Kent Film Office is located in a building that offers a prayer room. We have an extensive locations database that we are constantly updating. If you have some photographic skills and can handle a digital camera and image manipulation software, you may wish to have a go at location scouting and assist with adding the images to the database. The film office manager has 10 years of industry experience as a locations scout and can help you develop and apply your skills to this area and show you how to present and sell a location to the director. We will send you out to take images, then you can order and manipulate them and create your own location record, which you can print off and take away with you. 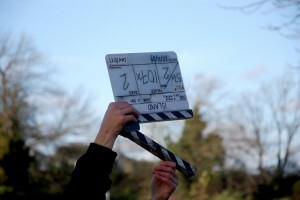 We are continually updating the Kent Moviemap which will help increase film tourism to Kent. This is a big project where you can watch a film or TV programme which was filmed in Kent, log the relevant scenes and confirm the actual places that provided the filming locations. You may also be asked to find out whether there are any local residents who were involved in the filming and whether they have any interesting stories to tell which we could add to the moviemap. The main duties of this office is to promote the county of Kent to local, production companies worldwide, location managers, producers and photographers. To stay on top of the game, we mail out a monthly locations newsletter to hundreds of contacts and we are always looking to ensure our mailing lists are up to date and expanded. Therefore, after work shadowing the Assistant Film Officer, we will ask you to find and contact industry professionals and offer them to be part of our mailing list. This will be an excellent opportunity for you to develop your communication skills and telephone manner, very useful tools in securing future jobs in the industry. In addition to the above main areas, you may be asked to help us with various tasks if we get suddenly very busy with location requests, including filing, event organising, database work, admin, covering phones, running errands, etc. So, if you think you would like to have a slot, please fill in the application form on the KCC website. Once you have confirmed your placement at the Kent Film Office it might be useful for you to read up about what it is we do. Spend some time looking through our website including what services we provide, how the location records are put together, look at examples of our news articles and film focus articles, and how we use the Movie Map to promote locations and encourage tourism. The more you know about what it is we do, the easier it will be to understand the tasks we ask of you and why. It will also enable us to get you doing the fun stuff quicker. Where do I go on the first day? We will confirm your placement the week before including where you need to go. You should arrive at Sessions House reception in Maidstone at an agreed time, sign in and reception will call us to let you know you have arrived so we can come and meet you. The Kent Film Office is a very relaxed and flexible environment and our attire is smart/casual. We are very flexible and on your first day we will sit with you and discuss what hours are best for you although generally they are 9:30am – 4:30pm with an hour lunch break. However, depending on your travel commitments, you can schedule your working hours and breaks flexibly within that framework. There are no free parking spaces within walking distance and both the station car park and Fremlin Walk multi-storey can be expensive. This is an unpaid work experience and you are responsible for organising your own travel arrangements and any costs incurred, including personal expenses. Please check with the Kent Film Office before booking weekly travel as if you are interested in photography you could be out of the office some days and we do offer working from home days. There is drinking water available, but you are responsible for providing your own food and additional drinks. There is a staff kitchen area, which is equipped with fridges, microwaves and hot water urns, though apart from plastic cups for water, there is no shared cutlery or crockery if you decide on a packed lunch. Invicta House has a small café where you can buy sandwiches, soup and confectionary and there is a larger canteen in sessions house where you can buy hot lunches. If you have any further questions about your placement, feel free to call us on 03000 422 000 or email us at filmoffice@kent.gov.uk. Did not find the info you were looking for? Try our main Training Page.